Sandy Koufax releases statement announcing retirement. Hall of Fame pitcher Sandy Koufax, who’s been in the Dodgers’ spring training camp this weekend, released a statement through the team Sunday announcing his formal retirement as a special advisor to Chairman Mark Walter. Unlike in recent years, Koufax did not speak to reporters on the record during his annual visit to camp, leaving the statement to stand as his only interaction with the press. Koufax was appointed a special advisor prior to the 2013 season and has been a fixture in camp each year, mostly working with pitchers during their bullpen sessions. Opening Day is April 4 in San Diego. The Dodgers’ home opener is April 12 against the San Francisco Giants. 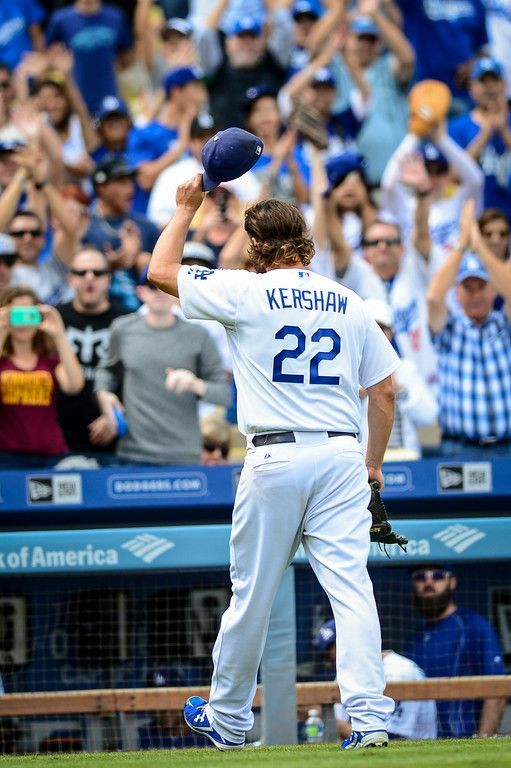 Dodgers pitcher Clayton Kershaw will start on Opening Day for the sixth straight year. On April 5, 2010, Vicente Padilla started for the Dodgers against the Pittsburgh Pirates. That’s notable for a handful of reasons. It was Opening Day, and the only time in the last nine years the Dodgers have begun their season on the road against a non-NL West opponent. It was also the last time someone other than Clayton Kershaw started on Opening Day for the Dodgers. Vicente Padilla. There’s your trivia answer. Sandy Koufax reports to camp, doesn’t speak to media. GLENDALE, Ariz. — Sandy Koufax was here in Dodgers camp today. So was a line of fans waiting to catch a glimpse of the Hall of Fame pitcher and special advisor. Koufax, who has signed autographs in the past on the back fields of Camelback Ranch, spurned all of them. Koufax didn’t speak to reporters either, opting instead to do the entirety of his work Friday inside the Dodgers’ spring training complex on his first day in camp. It could be his only day in camp; Koufax caught several high-ranking team officials by surprise with his annual appearance. The 80-year-old has worked with the Dodger pitchers each of the last three years. He’s the marquee name among a list of guest instructors and special advisors this year that includes Greg Maddux, Eric Gagne, Shawn Green and Ron Cey, among others. Dave Roberts on his first Spring Training as the Dodgers’ manager. 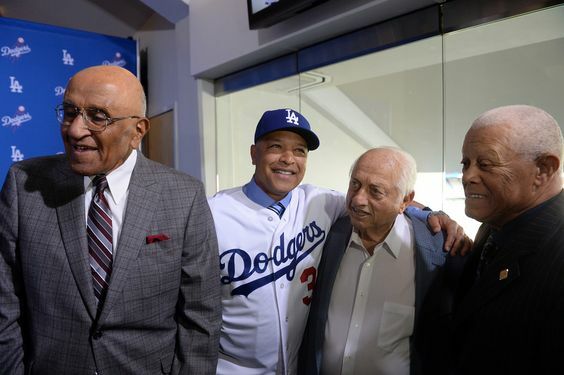 After his engagement at the high school, Roberts said he planned to pop into Dodger Stadium, where the club’s Player Development staff is holding a leadership camp with select minor leaguers. 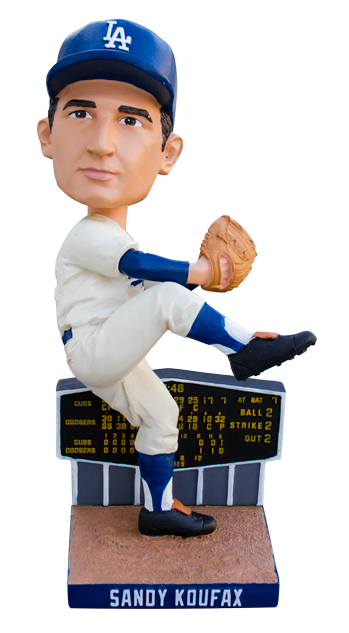 First look: Sandy Koufax bobblehead, August 13 Dodger Stadium giveaway.